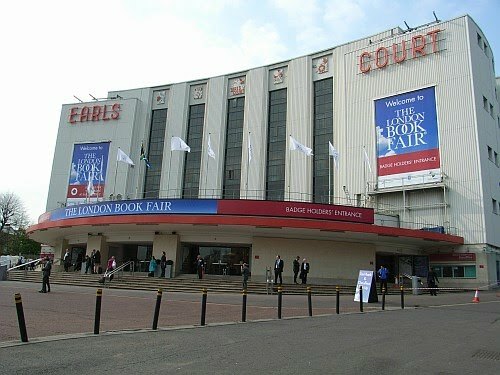 The London Book Fair takes place 19-21 April, with a programme of paid seminars starting next weekend on subjects including digital transformation, how to get published and writing for screen. Throughout the week, there is a comprehensive programme of events, including frequent sessions on assessing your manuscript, self publishing and book promotion. On Monday there is a session on the Google Books Settlement, which could be of particular interest to authors. These events are included in the entry price. The authors of the day will be Hilary Mantel (Monday), Andre Brink (Tuesday) and Eoin Colfer (Wednesday). They will take part in Q&A sessions, seminars and book signings. This year there will be an area dedicated to comic books and graphic novels for the first time. The fair's website says they have "finally emerged as a serious part of the publishing industry", but we're still a long way behind France where graphic novels are a part of the mainstream culture. They do present an interesting opportunity to expand the market, particularly to younger people, at a time when book retailers have been struggling. The Digital Zone and theatre will be back again this year. Last year, there were a lot of people selling technology to package ebooks. It will be interesting to see how much that has changed in the intervening year, in particular whether there are any companies developing apps for the iPhone or iPad. The sponsor for this zone is the Sony Reader, and there are no obvious Apple-related companies in the exhibitor guide. There is a comprehensive programme of talks dedicated to ebook publishing, covering technical, business and legal issues. The market focus this year is on South Africa, and there is an impressive number of exhibitors (about fifty) in this area. If you're looking to break into the South African market, there is bound to be helpful advice there. Outside the themed areas, the exhibition can be a bit hard to navigate. To help find your way around the exhibition floor, there is an interactive guide creator on the London Book Fair website. You tick the boxes for the product classes you're interested in, and it will generate a map and exhibitor listing showing only the companies you'll be interested in. If you have fairly narrow interests, this can be a valuable planning tool. Tickets are cheaper if you register in advance, and you'll be able to get into the show more quickly on the day too. Members of the Society of Authors have a special discount. Details are in the latest issue of The Author. There's an interesting discussion taking place on the forum for Retro Gamer magazine at the moment. As I said in my recent post about how ebooks are changing writing, Retro Gamer has created an iPhone/iPod app for buying and reading the magazine. Retro Gamer has many fans who are committed, or perhaps should be (as the old joke goes). They collect every issue of the mag, and now there's an iPhone app, those with iPhones will collect that too. What's interesting, though, is that several people are saying that subscribers to the print mag should get the digital version for free or for a reduction. Editor Darran Jones said: "Why should you be given it for free? After all you don't see people saying. I've already got Die Hard on DVD, why should I have to buy the Blu-Ray version? I'm sure that some sort of deal will eventually come along that will give subscribers a better discount over those who are buying it fresh, but it doesn't normally make good business sense to give away something for nothing. After all, you're not being forced to buy it, it's just there as an option." Reader Opa-Opa (not his/her real name) said: "The thing with your DVD/Bluray argument is that you would be paying for the media and packaging, which will cost the production company a certain amount of money to get produced and shipped etc but with the digital version of any magazine (not just RG, I'm not having a pop at you guys) the magazine is already made, it's already put together and it costs next to nothing to make all the time the paper version is being made. Do you get paid twice because you are now making two different magazines, one paper and one digital.. Because we have to pay twice if we want a digital copy..?" There seems to be a perception that there are no costs in creating ebooks, which is not true. Even when the print version has been created, it takes time to generate the digital version, upload it to the app system and to test it. There are often significant setup costs too. I contacted PixelMags (who created the Retro Gamer app) to ask about their pricing a month ago for an article I was writing but I haven't heard back. Typical prices for creating a corporate app might be £20,000, although it's possible to do it much more cheaply and to do it on a revenue share basis. If it did cost £20,000, then it would take over 9,500 sales at £3 per copy to break even on that cost. (Apple takes 30%, and Imagine Publishing can probably amortise some of this cost across all its titles). What about the other costs? Well, let's estimate that it takes about a day of somebody's time to look after each issue (including generating, uploading, and customer service) and that the cost of that (including office rental, furniture, employer taxes etc) is about £500. In that case, Retro Gamer needs to sell over 235 copies to break even on the cost of any one issue. It's easy to question the figures. We could say that the cost of the staff time is half that, or equally argue that it takes twice as long. But it does demonstrate that however you slice it, digital content isn't free. I have no idea how many copies they are selling. But Retro Gamer is a highly specialist magazine which had a print circulation of 5,000-7,000 last time I heard a rumour about it a couple of years ago. There are lots of people with iPhones and iPods, but how many of them are in the target market? It's clear that Retro Gamer has taken something of a gamble here, and won't make any profit until a significant proportion of its potential buyers have bought an issue. Only then does it start to make the profit which rewards its risk. (It is possible it's doing it all on a revenue share basis and that PixelMags is absorbing the setup costs. But in that event, the costs are still in the system, and it's still not viable to give the content away for free). If you're out and about taking photos this long weekend, don't forget to change the time on your camera. Last weekend, the clocks went forward, and some devices will have recognised this automatically. The internal clock on your camera probably hasn't updated itself, though. It's worth keeping an eye on the camera time when you travel abroad too: I have lots of photos taken in America which have a UK timestamp on them. When the PC downloads these pictures, it divides them into folders by day. But midnight in the UK falls in the early evening in the US, so a single photo shoot in one location can end up split across different folders on my PC. That makes it harder to find pictures later on. I recommend that writers learn to take good photographs. It helps to sell stories if you have some images to go with them, and it is in itself a rewarding creative pursuit. It's also a useful research tool. If you want your pics to be published, though, don't let the camera stamp the time and date in the picture itself. It's in the file metadata, so you don't need it to be on the visible part of the image. You can get some fantastic professional-quality results with affordable digital cameras today, but a picture with a timestamp in the corner will always look like a cheap holiday snap.